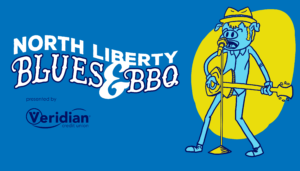 Thank you for joining us at North Liberty Blues & BBQ presented by Veridian Credit Union! We hope you enjoyed a day full of music, food and fun. In an effort to continue to improve and grow the event, we appreciate you taking a moment to answer a few questions about your experience. Your feedback will be carefully considered by the North Liberty Blues & BBQ committee when making plans for 2019 (your answers will be anonymous).